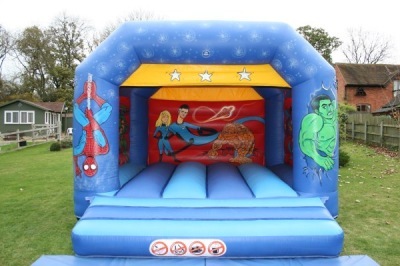 This impressive hand painted bouncy castle is overflowing with party action and excitement. It will be a real centrepiece at any party, endless bouncy fun for girls and boys alike. 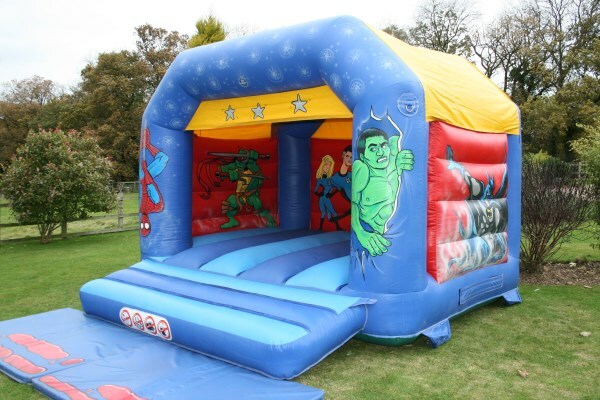 Suitable for outdoor and indoor hire (subject to ceiling height) You will also have the use of our free Plasma Cars if your party is held indoors, a great add on piece of entertainment, the children love them. 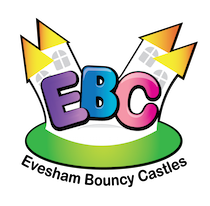 Please contact the office if you would like advice on which village hall or venue to choose as we have a wealth of experience of hiring bouncy castles in and around Evesham, Worcester, Pershore, Malvern, Upton upon Severn, Gloucester, Cheltenham, Stratford, Broadway, Bidford, Alcester, Inkberrow, Hartlebury, Kidderminster, Stourport on Severn, Studley, Hanbury, Colwall, Tewkesbury, Bromsgrove, Droitwich, Stratford upon Avon and Bredon.